“This is our salute to the fruit tramps of the ’30s who worked from sun up to sundown. Reward your endeavors with this fruity beast. Come get you some! Purchased from Save Mart in Madera, California. Poured from a 22 oz bomber into a snifter. The body is hazy and yellowish-orange in appearance. A small, white, fluffy head is poured, which thins to a wispy covering and leaves decent lacing. 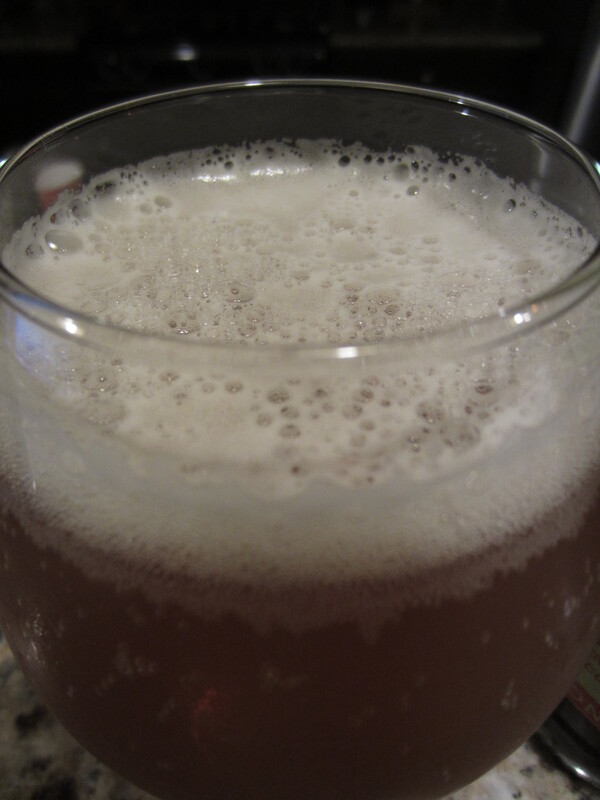 Moderate carbonation can be seen in the glass. 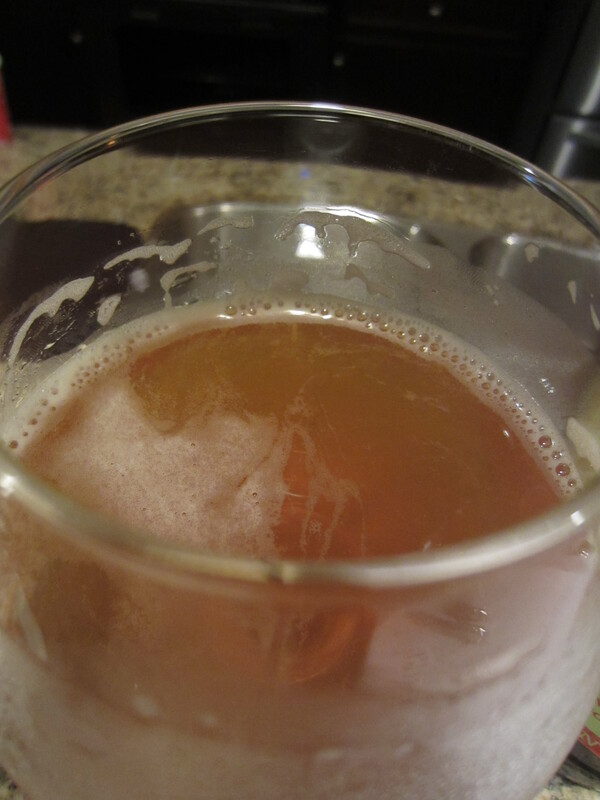 Faint wheat beer characteristics, including a bit of salted caramel. The strawberry is understated, and comes across as a little sour. Mild alcohol is also present. The aromas are pretty light for such a big ABV brew. 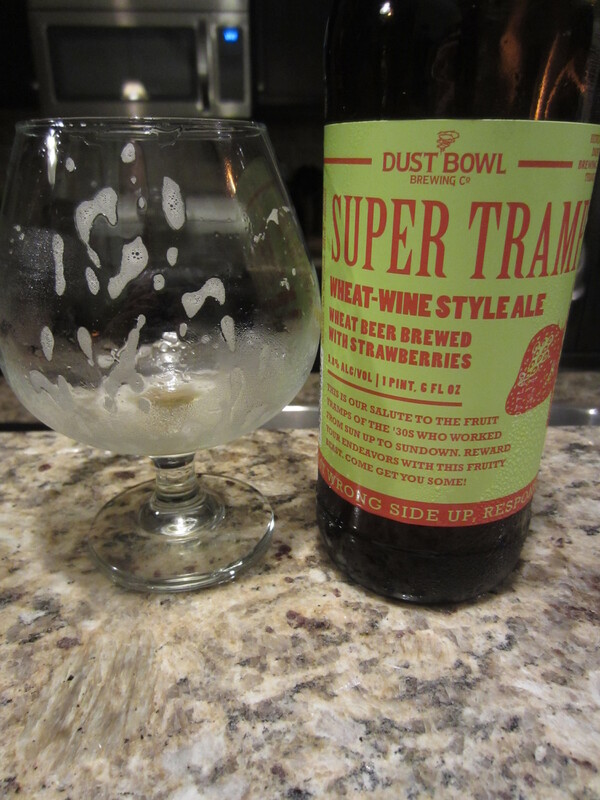 Super Tramp has a medium-rich body, which is pretty smooth going down and finishes with moderate carbonation harshness. 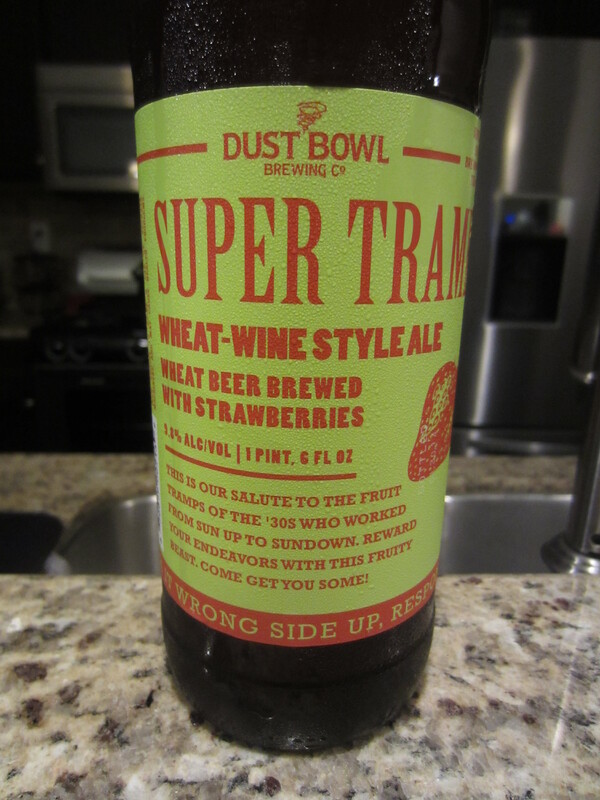 The flavors match the nose, in that the strawberry notes take a back seat to the wheat beer base. The aftertaste gives a mild alcohol kick, and a lingering salty malt characteristic lingers on the palate. It is very drinkable for such a high ABV, drinking much like a smaller wheat beer. 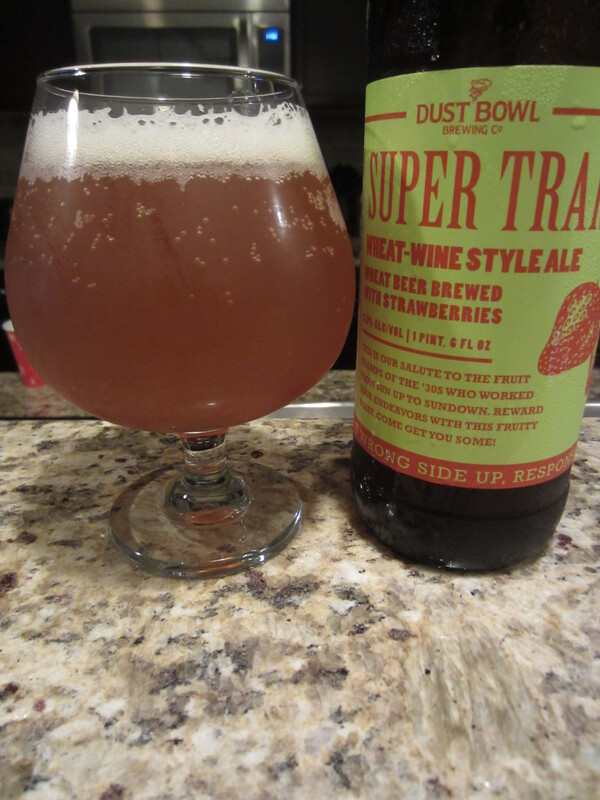 Super Tramp is my first wheat wine, and I had no idea what to expect from the style. It ends up being pretty much in line with smaller wheat beers I’ve had (though I admit to a certain level of inexperience with wheat beers), with a subtle alcohol kick on the back end. I expected the strawberry flavor to be much more prominent, and think the brewery definitely could have gotten away with a larger fruit infusion without the flavor coming across as gimmicky or sickly. What I’m left with is a strong wheat beer, which is an interesting experience, but a ways off from great. 7/10.